Fueled by a daily dose (or three) of Starbucks, Jaclyn loves few things more than Crossfit and the San Francisco Giants. Jaclyn March joined the KPS3 team in 2016, bringing with her over a decade of diverse experience in everything from public relations to project management. As one of our crew’s senior account directors, Jaclyn uses her super-sharp communication skills to ensure clients’ projects are on message, on deadline and on budget (and, dare we say, on point?). Though Jaclyn was born and raised in Reno, she eventually made her way even further west, earning her B.A. in communications from the University of California, Santa Barbara in 2003. Upon graduation, though, Jaclyn headed back inland where she accepted a position as the casino marketing assistant for the Atlantis Casino Resort Spa in Reno—working her way up the ranks to a prominent publicist position at the resort by 2005. In 2007, Jaclyn joined International Game Technology (IGT), where she spent the next five years as the company’s public relations lead. 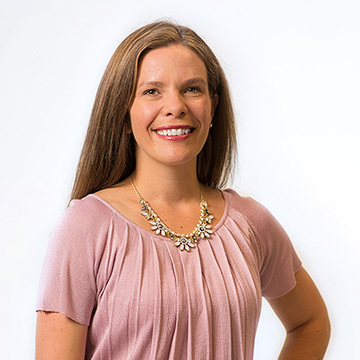 Immediately prior to calling herself a KPS3er, Jaclyn spent two years working as a consultant and public relations specialist for QuantumMark LLC, a Reno-based, all-female-owned, project-management consultant firm. When Jaclyn’s not running around our offices perfecting budgets and timelines, you can find her running around Reno—skiing, hiking and exploring all the Biggest Little City has to offer with her high-school-sweetheart-turned-husband and their two sons. A lover of travel, Jaclyn’s first son had a passport by the ripe old age of 10 months, and her youngest is following in his well-traveled brother’s footsteps (with a passport by at the age of 1). Boys, though, aren’t the only thing Jaclyn’s a mother to—her household includes two dogs, a cat and six (yes, six) chickens (and, if she has her way, she’ll add horses to her roster of family members one day as well).